Paradiso (pair-uh-dee-so) is a Two-Day J-Fashion celebration in the heart of the Midwest, where any Japanese Fashion enthusiast is welcome to revel in fashion! Unlike a convention, Paradiso is a gala entirely devoted to J-Fashion, all in an elegant setting. Paradiso features indie designers from around the world in our fashion show and vendor booths, as well as special guests, an elegant tea party, ouji pageant, and much more. 2019's theme is Decadence, an extravagant realm of baroque luxury and indulgence. 2019 will be our fourth year, and we are so excited to announce what's in store! The Paradiso staff is made of volunteer members from the Kansas City, Columbia, St. Louis, Oklahoma and Ohio communities in order to bring together Japanese Fashion enthusiasts in the Midwest. We held our first event in June of 2014 and all agreed we should continue the tradition. Paradiso 2016, 2017 and 2018 were resounding successes, and Paradiso 2019 will be here before you know it! 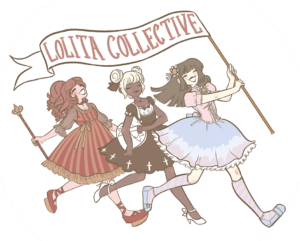 We believe that the J-fashion community in the United States should be a safe place for all of its members, and that there should be more events by us, for us. We aspire to bring the communities of the Midwest closer together so that we may all share our love of Japanese Street Fashion in a caring, supportive environment.